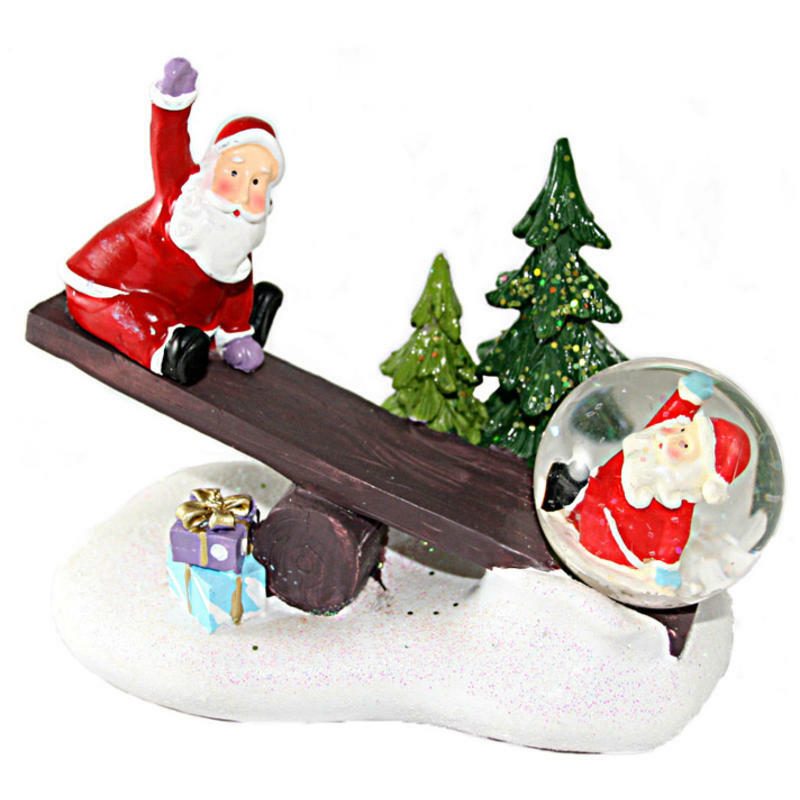 Add a fun and festive touch with this adorable Santa Seesaw Snowglobe. 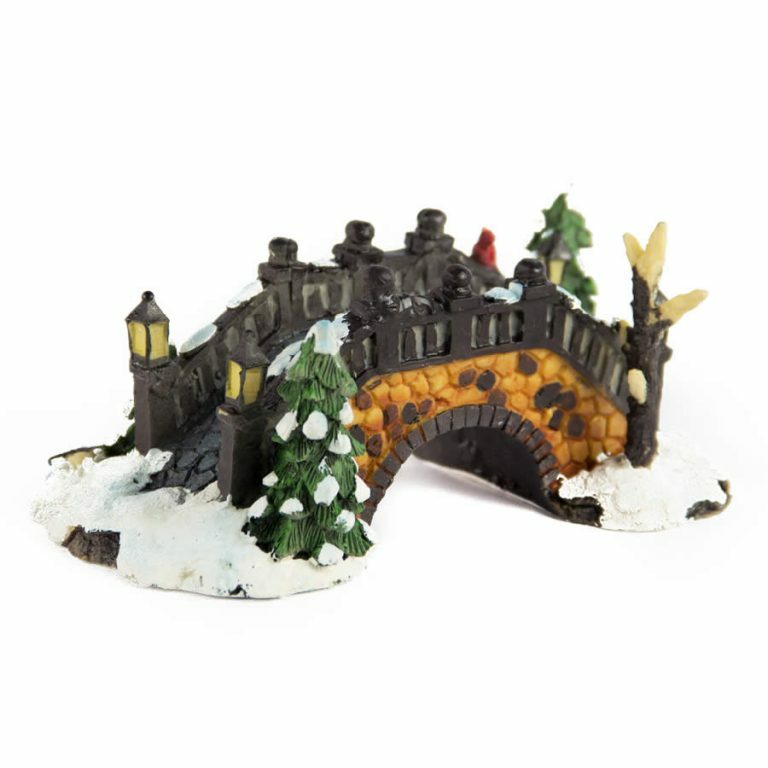 Measuring around 15cm wide by 12cm in height, this resin accent depicts everyone’s favourite elf, Santa Claus, as he plays on the beloved seesaw. 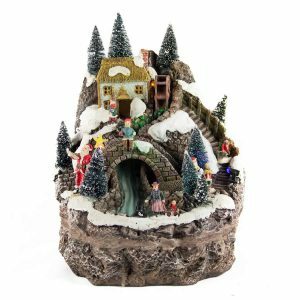 On the opposite end of Santa is a small waterglobe filled with yet another Santa figurine. The two tiny Santas wave to one another as they go up and down on this playground staple. 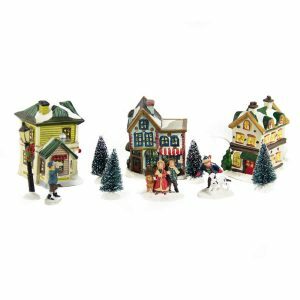 Inside the tiny snowglobe is a snowy wonderland, and the seesaw itself is surrounded by snow and trees giving it a holiday flavour. The pile of brightly wrapped gifts add a celebratory touch, making this affordable accent a great gift idea during the busy Christmas season. 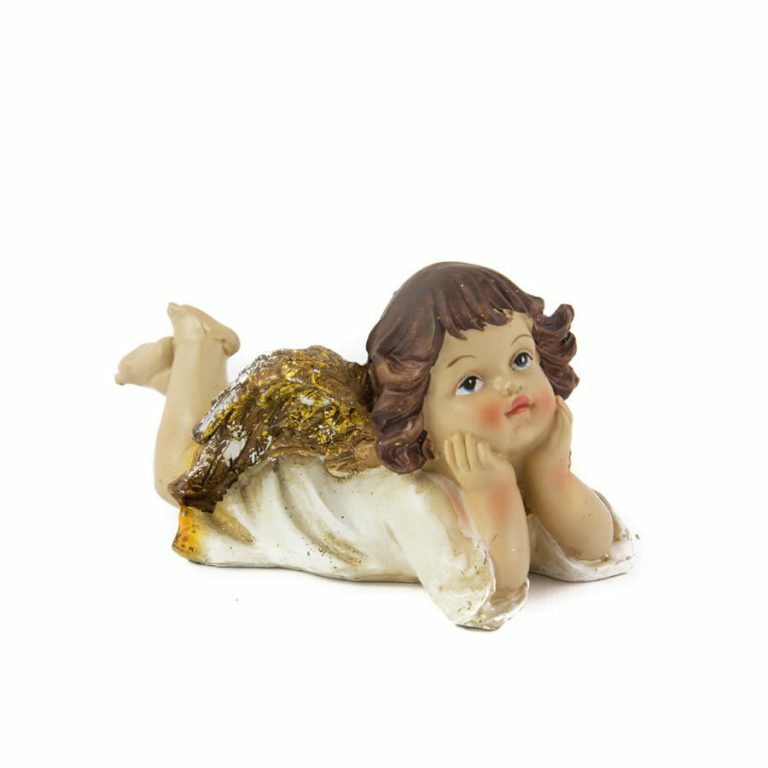 Share this with a collector or someone who enjoys the splendour of fine snowglobes or accent pieces.